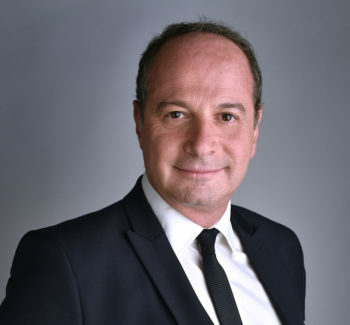 Bertrand Schmoll, the Chairman of ECS Group, has been elected to the Board of the International Air Cargo Association (TIACA). 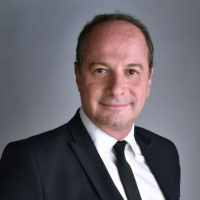 Since joining ECS Group in 2000, Bertrand Schmoll has made a huge contribution to positioning the company as a global market leader – as well as to the development of the General Sales and Service Agent (GSSA) sector and its activities. ECS Group is the first GSSA to be represented on the TIACA Board. “TIACA is the only organisation representing all sectors of the supply chain and it is important that all voices are heard on the Board,” said Sebastiaan Scholte, Chairman of TIACA and Chief Executive Officer (CEO) of Jan de Rijk Logistics. Bertrand Schmoll was elected at a TIACA Board meeting in Singapore last month as part of ongoing plans to grow the management team. “An organization such as TIACA is the glue that holds us all together and allows us to move forward together despite our sometimes divergent interests,” said Bertrand Schmoll. “Thanks to the remarkable work undertaken by TIACA, led by Sebastiaan Scholte [TIACA Chairman], Steven Polmans [TIACA Vice Chairman] and Vladimir Zubkov [TIACA Secretary General], our practices are being modernized and air freight is becoming more appealing. The new appointment comes as preparations continue for TIACA’s Executive Summit (ES), which takes place in Budapest, Hungary on November 19th-21st. TIACA is working with EVA International Media to organise the ES, which brings together decision makers from across the globe for a series of panel discussions, keynote speeches, and round table debates.